Enter the enchanted realm of Pixie Wings, a video slot by Pragmatic Play, rolled out in July 2017. The royal family strives to provide players with massive prizes while at the same time delivering an interesting and fun gaming experience due to magnificent visuals, HD effects and a calming soundtrack. Pixie Wings boasts a solid RTP of 96.67% with payouts going as high as 250,000 coins. Let’s not forget to mention Super Stacked symbols that will mostly be in charge of awarding significant sum. Players can also trigger the Free Spins feature offering them to pick one of five options during which one of the symbols appear in stacks on the reels. Pixie Wings is a 5-reel, 4-row slot played at 50 fixed paylines across which you can wager up to 500 coins, depending on how many coins, from 1 to 10, you wish to bet per line. Customize the coin value on a scale from $0.01 to $0.50, to best suit your bankroll and give those reels a spin by pressing the Spin button. Activate Autoplay for the game to continue automatically for a set number of times. High-win symbols populating the reels are 4 elves, with the King providing the most lucrative payout of 75 coins for 5 of a kind. The Queen will award a 45 coin prize when 5 appear on a payline. Landing 5 matching Prince or Princess icons will grant 30 and 25 coins consequently. On each spin, one of high-value symbols will be randomly become stacked, thus offering chances of hitting bigger wins. Playing card symbols 10 through Ace represent low-value icons, delivering from 12 to 20 coins. Payouts will be awarded when icons appear on adjacent reels from left to right on a payline. One of the biggest draws of the Pixie Wings slot is the presence of Super Stacked icons. They can help you complete multiple winning combinations at once. Let’s see other bonus features the game has on offer. Wild is depicted as the game’s logo. It can substitute for all other symbols thus helping you form a winning combination. The only symbol it cannot replace is Bonus. Wild is at the same time the top paying symbol in the game. Land 5 Wilds on a payline and you will win a 500 coin prize. The Bonus symbol is Scatter represented as a tree. It will trigger the Free Spins round when at least 3 appear anywhere on the grid. Once the Free Spins feature is activated, a new screen will appear, offering 5 different options. Each of them is represented by one member of the royal elf family, with the 5th being a mystery symbol that will turn out to be one of the high-win icons or Wild. 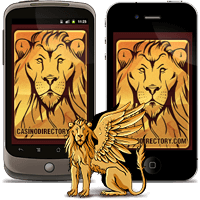 Depending on what you pick, you will be presented with from 5 to 12 free spins with a featured symbol becoming stacked. Every time Scatter lands during this feature, you will obtain an additional free spin. Pixie Wings is playable on smartphones and tablets, retaining the desktop version quality. It offers players a simple, yet engaging playing experiences, owing to extraordinary design and pretty lucrative payouts.